Description. 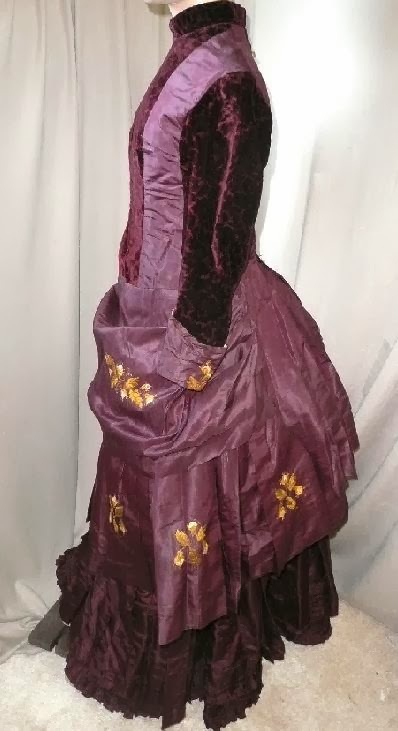 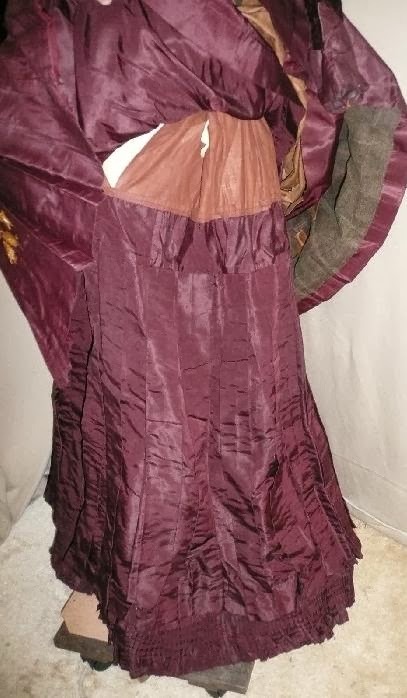 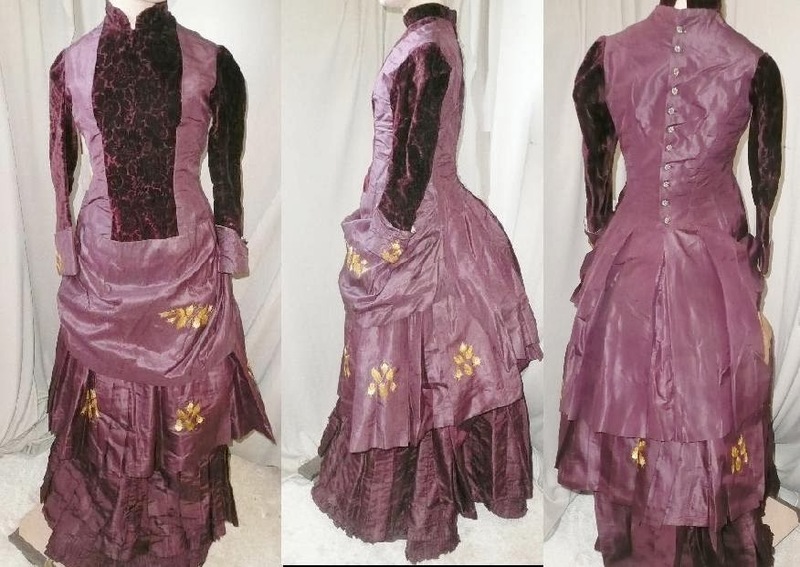 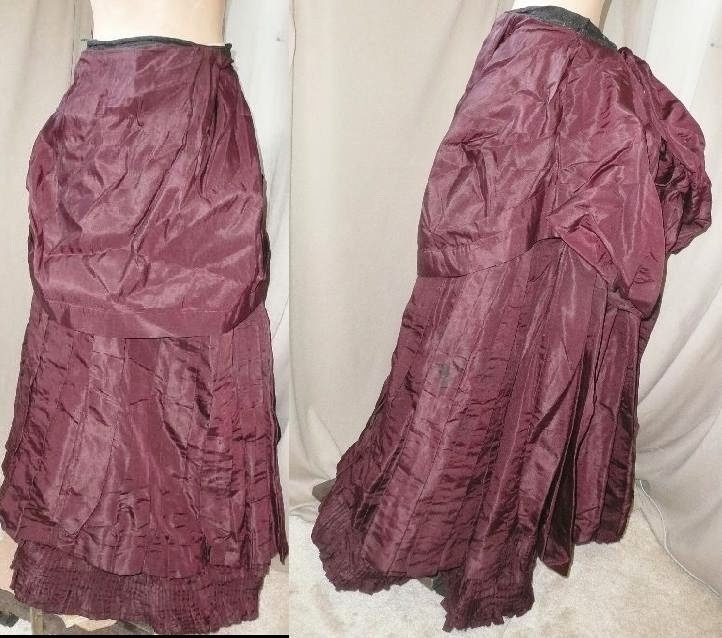 A glorious original Victorian late 1870s tearly 1880s 3 piece gown; styled in a luscious shade of deep wine silk taffeta and very lovely cut velvet on the front of bodice and long tapered sleeves. 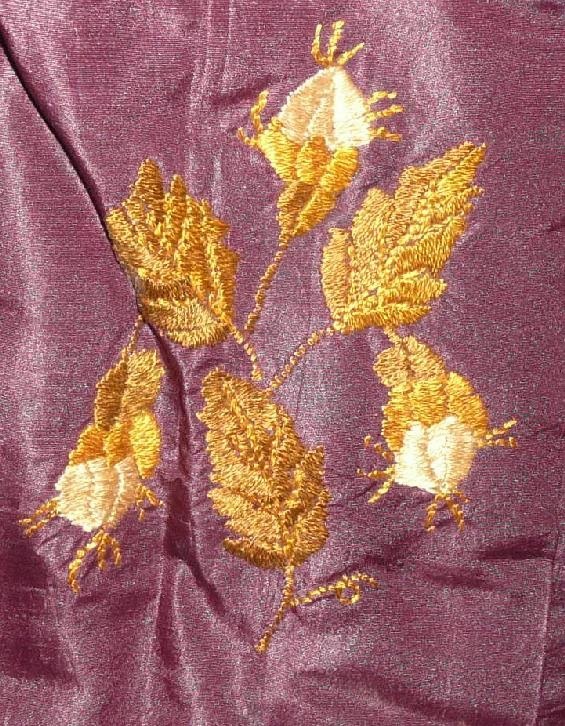 Decorated with superbly hand created gold tone embroidered / crewel floral bouquets. 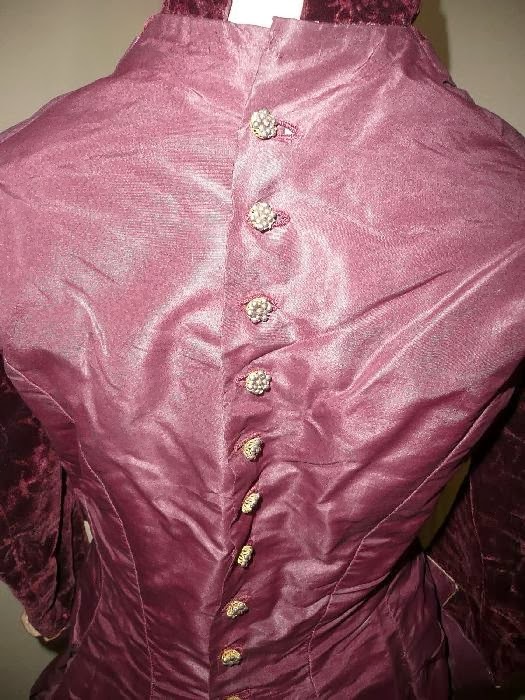 The curiass shaped bodice has back button closure, these button are created in a gold filigree backed marcasite clusters; all buttons are present. 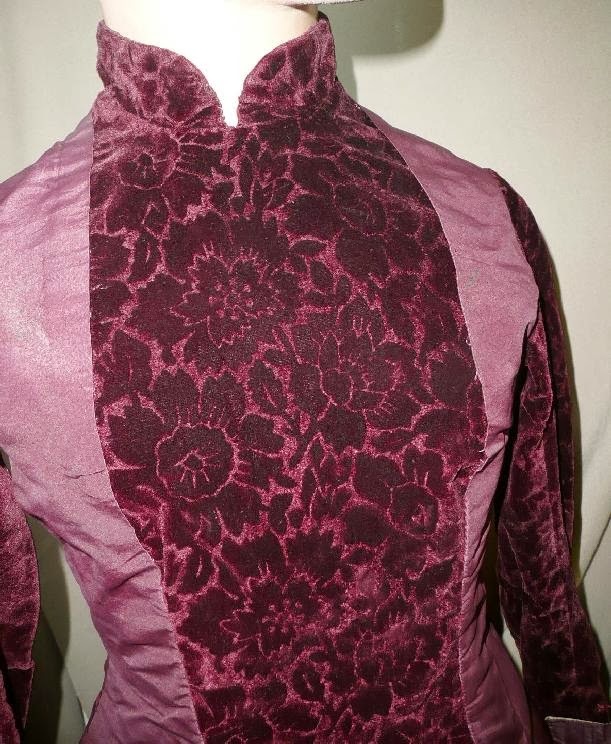 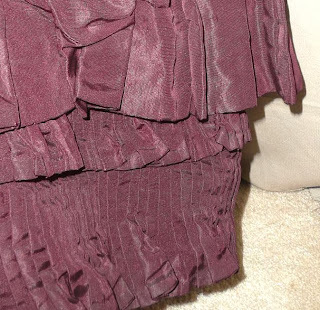 The middle layer that is similar to a slip is something that I have never seen (I have sold at least 400 19th C gowns in the past 10 yrs); it is created with the top being cotton buckram and the bottom matching embroidered wine silk. 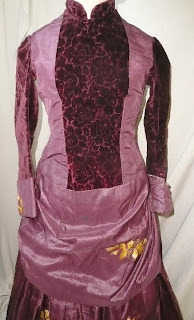 It needs to be put it on over the skirt and then under the jacket it lays beautifully with exhibiting more embroidery. 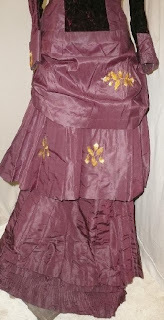 The wonderful voluminous front and very full bustled back skirt is created with layers of pleats and more gorgeous embroidery. Overall all three pieces are in very good very sturdy condition and the only part that needs some attention of best being replaced is the under / hidden buckram areas on the slip and back skirt panel. With being modeled on a mannequin that is an extra small, size 00; It is quite small and I suspect with the back closure it is most likely a late teenagers dress for the autumn to winter season. 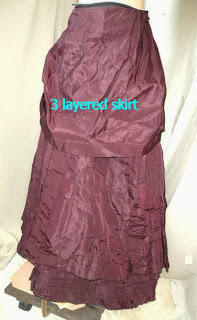 Approx measurements are 30" bust with a 19" waist;the skirt is 36" length. 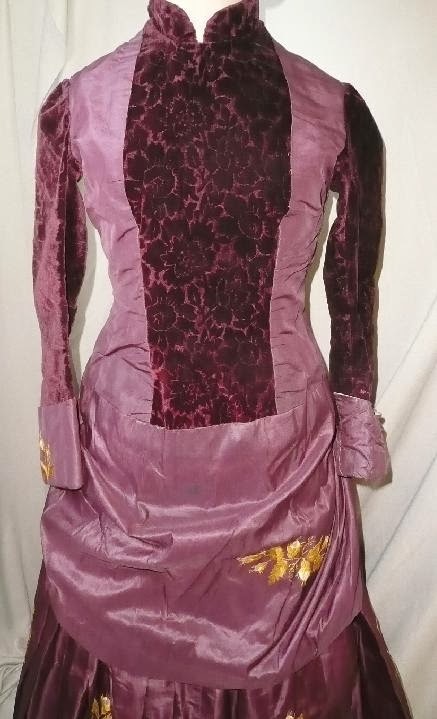 Truly a stunning example of a well to do young woman's gown. I think it's late 1880's based on the style. 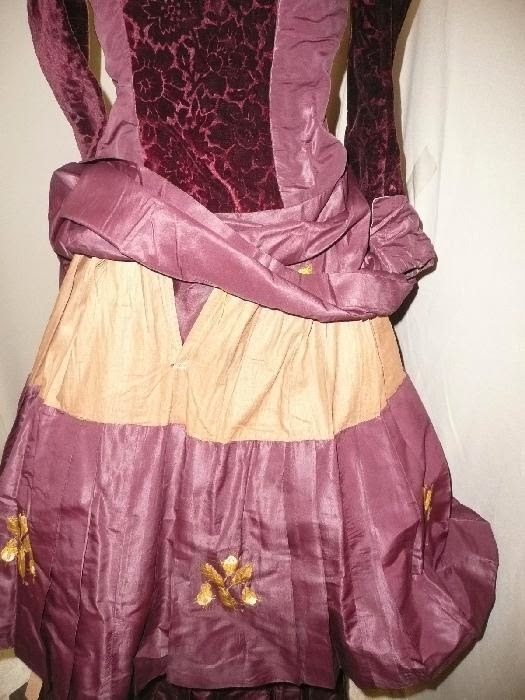 Very cool young miss dress. Fun with ribbons, the Edwardian way!